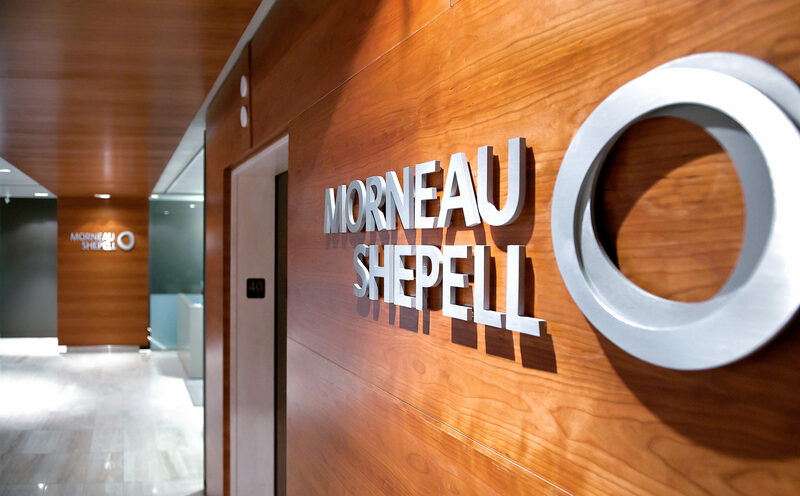 Following the three-floor Morneau Shepell Head Office project at Square Victoria, the Metaphore Design team was asked to develop an updated design concept for the 13th floor. 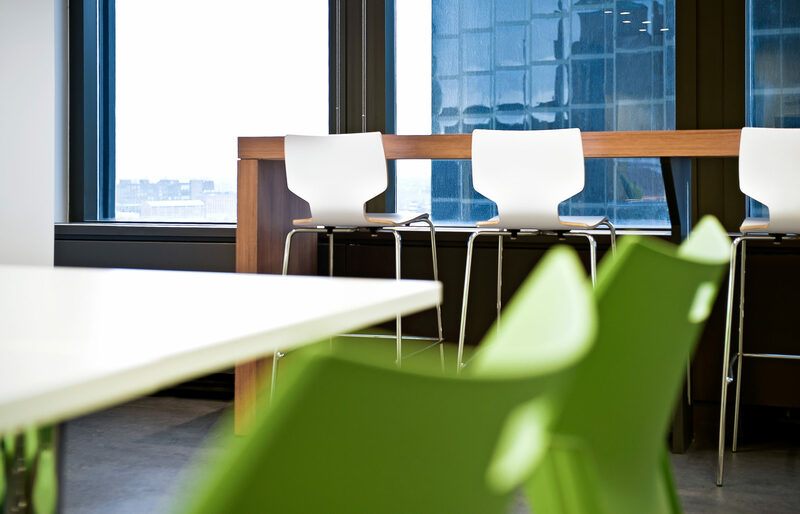 The client wanted a “fresher” environment to appeal to a new generation of employees. 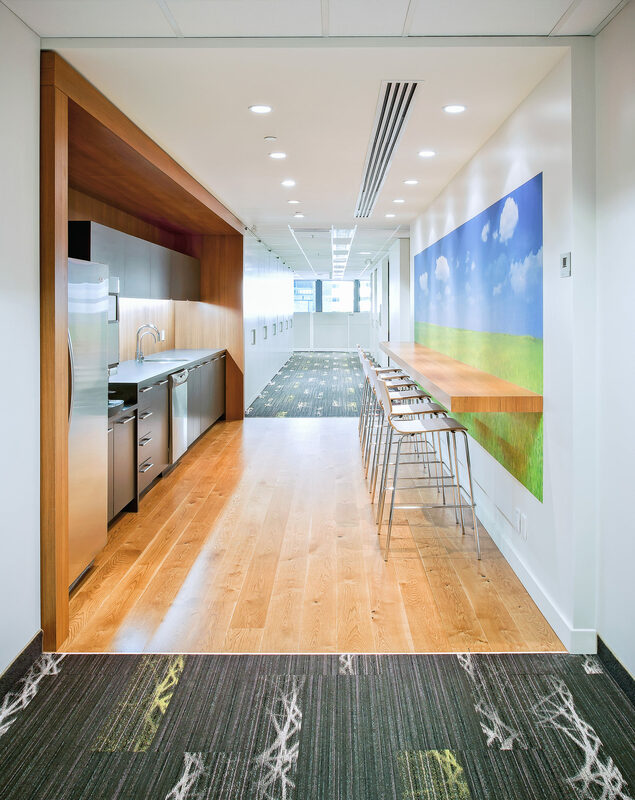 Certain design elements from the executive floor were reincorporated. Wooden ceiling detailing incorporated at the elevator lobby introduces a warm feeling of quiet elegance and draws the visitor into the space. Locating all offices on the interior with abundant glazing, we provided universal access to natural light and the magnificent view. The reduced workstation standard was created to save valuable space and allow opportunities for team collaboration. 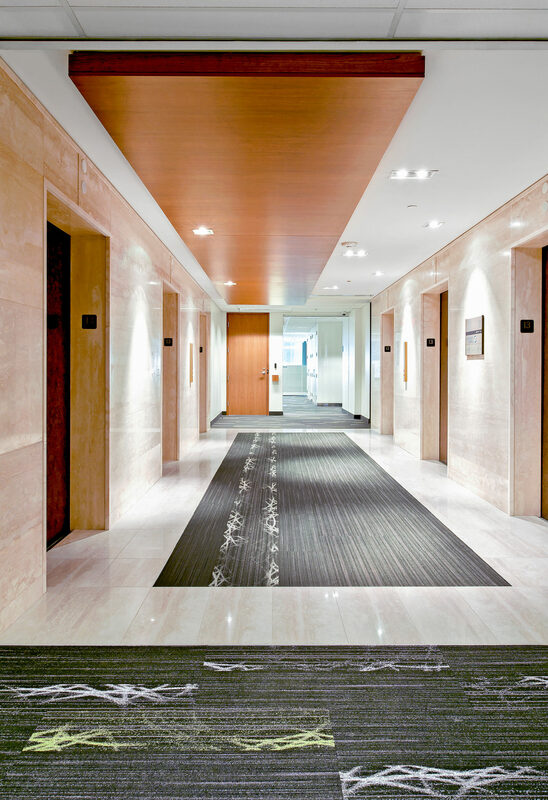 Widened corridors doubled as storage or breakout areas to further increase space efficiency. 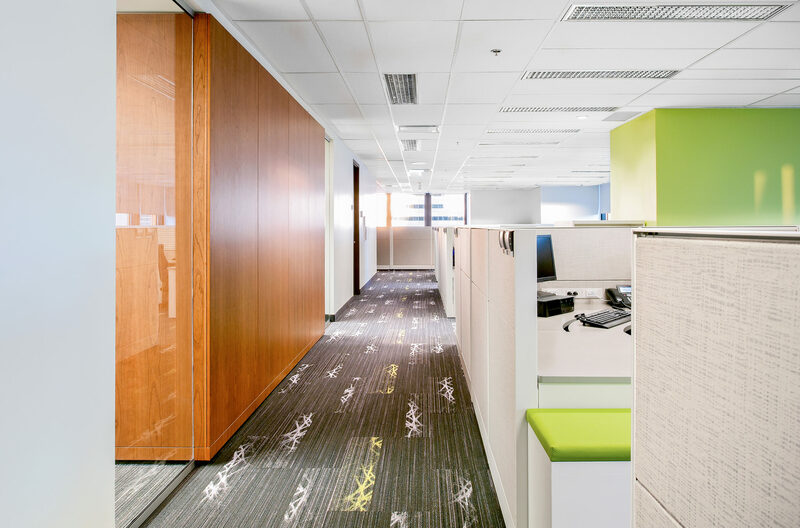 The mostly neutral color palette was punctuated with vibrant accents to create a comfortable and stimulating workplace.